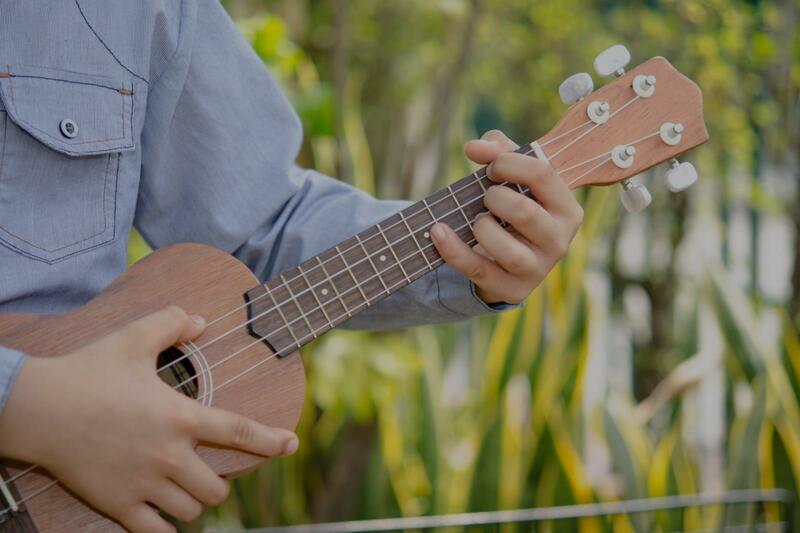 White Plains, NY Ukulele Lessons Near Me | Fun Classes. Top Teachers. I have been playing professionally for over 30 years and have taught for over 10. I am proficient on keyboards, guitar, bass, ukelele, as well as lead and harmony vocals and songwriting. My focus is on developing your musical intuition through ear training, and accessing the music within. I have a home recording studio to help with the learning process. I provide a fun, safe, non-critical environment where you can access your inner musician in the most enjoyable way possible. Many of my students have gone onto become prolific songwriters and musicians and have recorded albums. Even beginners can learn quickly from my method which emphasizes techniques for keeping learning music fun. aim as I have continued to tour the world. I have opened for legends such as David Bowie, Ron Sexsmith, Robyn Hitchcock, Morphine, Bob Mould, Freedy Johnston, among many others. I have produced over a dozen albums by other artists and songwriters, and composed for major motion pictures including last years film, WON’T BACK DOWN starring Maggie Gyllenhaal. Students can expect to discover or re-discover their love for music and and their own natural musical inclinations. Many students report an increased sense of joy and possibility in their own lives. Curriculum depends on level of student, but is focused on being able to play favorite songs, develop comfort and ease in playing style, and accessing creativity and originality in approach. After 3 to 6 months working with me, most students can feel comfortable calling themselves a musician! I teach mainly guitar, keyboards, ukelele, and voice from beginning up to intermediate. I try to incorporate songwriting into the process as i find that it speeds up the process and helps to encourage enthusiasm and a more focused effort and better results. I am fluent in most styles but come from a folk, rock, country, pop background. I also have a home studio and use recording techniques to develop style and vocal ability. I came into the lesson with very little knowledge about guitar. Matt provided a simple road map for progress, and was patient through the drills. Within thirty minutes, I started seeing improvement. I very much look forward to my next lesson to see what the next steps will be - highly recommend. Matthew was great! Cares about what students goals are. Chords and finger-picking will be studied to play favorite tunes. Ukulele is a kind of portable guitar. you can have almost all the expressive capabilities, styles and techniques of the guitar, and you can put it in the overhead bin when you fly! Lean all the basics! Basic songs, chords & melodies are taught. Beginning lessons for children or adults. Great if you've never played or are new to playing. Music theory can be included as an option. I am a professional violin/fiddle player and singer, and I perform and teach music classes all over Manhattan and Brooklyn. I truly enjoy teaching and love seeing to the students needs and fulfilling what they need in order to progress as a musician. You are the most important part of our classes. I worked for the NYC Department of Education as a substitute classroom and general music teacher (2015-2018). I have a background in students with special needs and special education. Se habla espanol. I was award a full-tuition scholarship through an audition for the North American World Scholarship Program to attend Berklee College of Music. There I earned a Bachelor of Music in Violin Performance (2003). h focuses on both learning by ear, substantial parental involvement, and then later reading music.) In high school I began studying jazz/blues improvisation, composition, and music theory. At Berklee College of Music I focused on jazz and all kinds of contemporary and traditional music. After graduating I was awarded a position at the Henry Mancini Institute (2003) in Los Angeles and was privileged to work with some of the biggest names in music including Diana Krall and Christian McBride. My favorite type of music to play these days is traditional Irish folk music, or "Irish trad". For the past few years I have immersed myself heavily in New York's traditional Irish music scene. I play regularly at several establishments in New York City alongside some of the city's finest Irish music players. A large part of my teaching style is that you are having FUN, you are enjoying what you are learning, no matter your skill level. Even if you are an absolute beginner, we might work on playing the chorus or the riff of the song. For example, one year I had a very happy 6-year old boy learn the theme to Star Wars and another college student learning the music of MGMT. Mary-Elizabeth taught me violin for 2 years. I was brand new and she made picking up violin easy and enjoyable. She recognizes current and future problems and suggests exercises to correct them. She always has a positive attitude, which helped me avoid getting frustrated. Her classes were relaxed and thorough. I could not have asked for a better teacher! I have a great experience of teaching with Mary ! I was already violonist but she helped me discover the wonderful world of fiddle music. I had a complete classical training and I wanted to be more free with my music so Traditional Irish tunes where the best ! Mary is very kind, patient, sweet, funny and will know how to adjust to your need without any doubt. She is a awesome musician in a great variety of music so have your pick ! We met Mary-Elizabeth for the first time in January 2009 by recommendation of The Royal Danish Academy of Music. We were looking for a private violin teacher for my daughter Elisabeth, age 13, who at that time had never played an instrument before and was clearly shy and nervous about the project. I can sincerely recommend Mary-Elizabeth for teaching and I guarantee you, the students will love playing and look foreward to her lessons! "Great musician, great instructor. Learned more than I ever thought I would be able to at this age. Very patient." nowing it. She is very patient with her and also goes with the flow. If my daughter wants to spontaneously create a new song Elizabeth will go with it and even create a chart so they can play it properly. Very much looking forward to continuing more lessons with Elizabeth and watching my daughter grow with her." ds when I lose my way. I strongly recommend her. I am so fortunate. Wait, did I say that already? Thank you Jessica." "Very patient with an older student with unclear goals." "she is excellent . My kids really enjoy her lessons. she makes is fun and interesting." "I'm an ABSOLUTE BEGINNER, and James is very patient and thorough. I look forward to each lesson!" "Very nice and welcoming, I learned a lot a few sessions and enjoyed them." New York, NY teacher: Carolyn O.
he experience. She is patient, pleasant and always encouraging. We really look forward to our weekly class, and want to practice at home so we deserve her praise. We're really having fun, and Vanessa is the reason. Thank you."